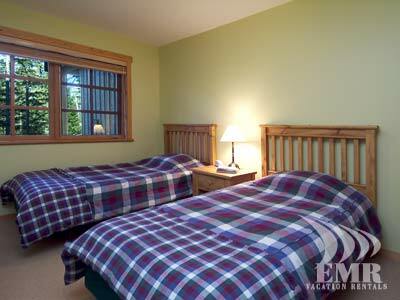 Taluswood 36 is a fine example of Whistler accommodations. 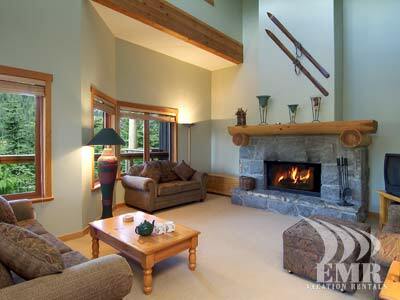 It is a large townhouse in the Taluswood development at Whistler Creekside neighbourhood. 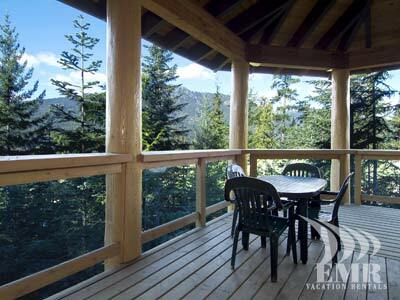 Taluswood 36 is located just steps away from the lower part of the Dave Murray Downhill course which takes you to the Whistler Creekside Gondola. Taking the Gondola up the mountain whisks you to the Raven's Nest Midstation. When the snow is deep enough, this unit is considered ski-in ski-out. Entering the home from the covered car port, finds you in a mud room where you can remove your outer clothing and proceed into the front foyer. To your right is a powder room and the door to the closed heated garage with ski storage area. In front of you are large impressive columns made from whole fir trees which are the defining architectural feature of the subdivision, both inside and out. To your left is the large kitchen area with room enough for two to share the food preparation duties at the same time without getting in each other's way. Just a little further, on the other side of a convenient serving counter is the large dining room featuring a dining table that seats 8. 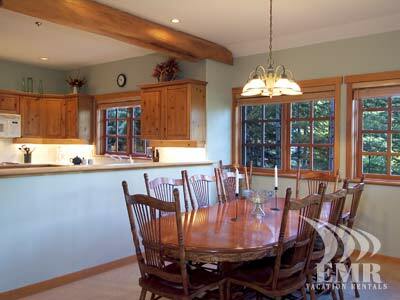 Continuing into the Great Room you are greeted by views of the forest through the large wood windows. At the center of this room sis a beautiful stone fireplace. 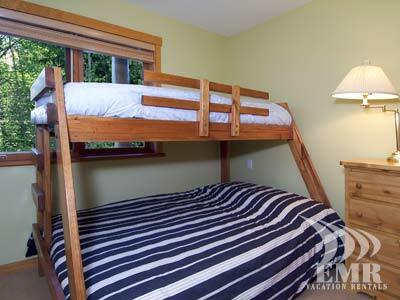 Light streams in the upper row of windows which are more than 20 feet above you. Head out the doors off the living room area to the large wrap around covered deck, an excellent spot for a BBQ in the evening. Proceeding up the stairs finds you in the master bedroom with it's immense walk in bathroom. This ensuite features a separate room for the shower and toilet and has a very large soaker tub at one end. 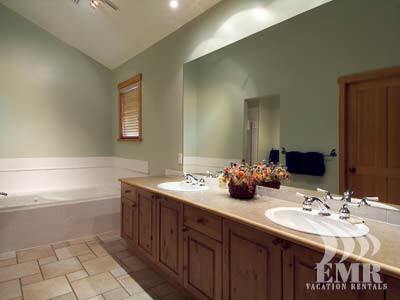 This bathroom exceeds all expectations and is very spacious and comfortable. Heading downstairs to the ground level you will find another bathroom, 3 more bedrooms, one with an ensuite, the laundry area and the outside access to the lower deck where the 8 person hot tub is located.. 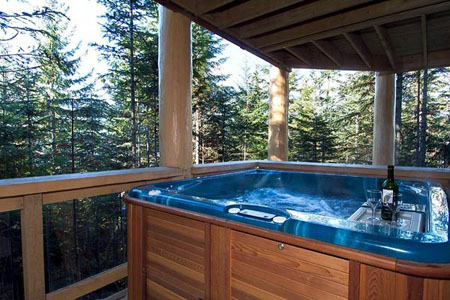 Staying in the Whistler Creekside area certainly has it's advantages. The new Creekside Village has everything you need from the Farmer's Market to a convenience store, gas station, restaurants and more. 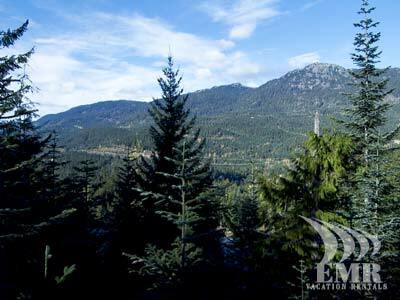 You are away from the goings on of Whistler Village so the area is much quieter but if it's nightlife you seek, the very heart of the Village is under 10 minutes away by car or taxi. Whistler Blackcomb is famous for everything from it's size, being the largest ski hill in North America, to it's night life to it's abundant natural beauty to the amount of snow the resort typically gets each winter. 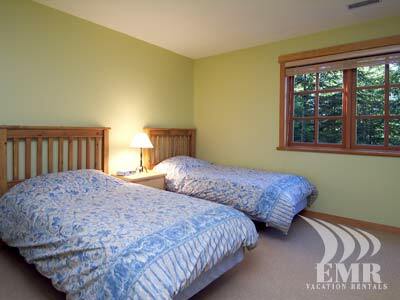 Make Talus Ridge 23 your next choice for accommodations in Whistler on your next trip.